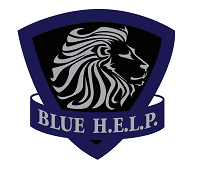 Frequently Asked Questions - Blue H.E.L.P. Why aren't all the officer's names shown? We believe it is important for you to see the number of verified suicides, whether you know their identities is up to the family; we only post personal information with their permission. We do not contact or “cold call” families, we wait for them to reach out to us. Their privacy and ability to grieve properly is of the utmost importance to us, we are counting every death, but we are only sharing the personal details if the family’s request it, matter how public the death. We receive information from a number of sources – internet searches, friends, family members, departments, other organizations and through our online submission form. All information is kept confidential until a family member requests that we share it publicly. Do you include every law enforcement officer that dies by suicide? We count every suicide by a police or corrections officer, this data can be parsed in many ways. It’s important for us to know as much as possible about the suicides so we can determine what is going on with the officers. While we count every one of them for analytical purposes, including murder-suicides, we only honor the service of the officers who meet the criteria we have laid out. Regardless of whether we decide to honor their service, we will assist every single family that has had an officer die by suicide. Where did you get the photos on this website? Photos on this website were graciously provided by the families of officers who died by suicide. They are their funerals, families, pets, possessions and lives. How can I include my loved one? You can share your information with us simply so we can count your loved one in the total number of deaths or, you can submit them for display here on our site so we can honor them. Please fill out this online form and we will contact you to determine what you would like to do, if anything. No, we are not. We do not encourage suicide in any way. We are putting a spotlight on it. We are letting you know what’s happening. We are acknowledging that these men and women served your community and should not be ignored because of the way they died. Are these all the officers who died by suicide? We don’t know. There is no formal, consistent collection of this data; no national database as their is for other line of duty deaths and injuries. 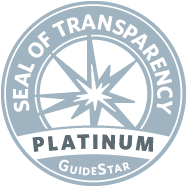 We are relying on the public, media and word of mouth to provide us verifiable information. We only report what we can verify. Accounting for the suicides that are not reported or “hidden” is difficult because too many people are ashamed to admit their loved one died by suicide. Are you sure these are all suicides? Yes. Every single one of them is verified and if we are not certain they are a suicide, they are not posted. Why is the total number of officers different than the number of photos? While we count every suicide, we do not put the names and faces of officer who committed murder at the time of their suicide or are under investigation at the time of their death. Please see our criteria for inclusion for more information. We provide resources for first responders, how can we help? Register for inclusion in this searchable database so first responders can find you. Is this for the United States only? Although we only operate in the United States, we are happy to honor your officer on our page regardless of where they served.